Recent reports regarding "Dragon Ball Xenoverse 2" centers in the claims that the new specs and features of the game will outpace the current game of Bandai Namco, "Naruto." It is also speculated that game would offer unparalleled gameplay. Additional reports relayed that "Dragon Ball Xenoverse 2" could receive its latest expansion by month's end if players are lucky. The fourth downloadable content (DLC) pack for Bandai Namco's popular fighting game is expected to include additional characters, moves, clothes and a storyline. 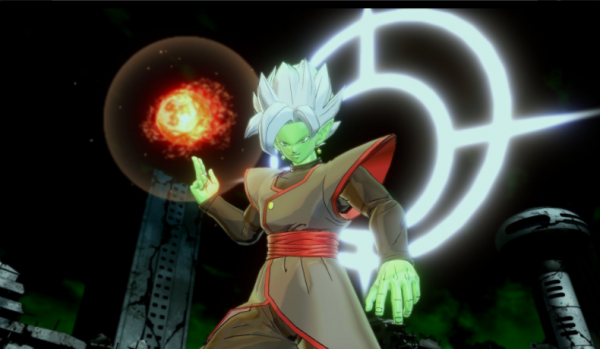 Recently, Shueisha's Weekly Shonen Jump magazine revealed that the "Dragon Ball Xenoverse 2" DLC Pack 4 will include a number of new content. This includes Super Saiyan 4 costumes and the option to equip characters with Goku's SSJ4 costume, reports the same post. On a different note, Goku, Vegeta, and Frieza will be clashing yet again in Bandai's newest Dragon Ball game, Dragon Ball Fighters, expected for release next year. The announcement comes just prior to Electronic Entertainment Expo (E3) 2017. While "Dragon Ball Xenoverse 2" is linked to controversy, other segments are also being added. The game will be developed by Arc System Works, the gaming company credited with creating 2D arcade fighting game franchises BlazBlue and Guilty Gear, according to the report.